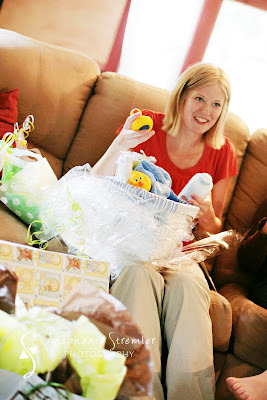 In early August I went to my friend Jessica's baby shower. 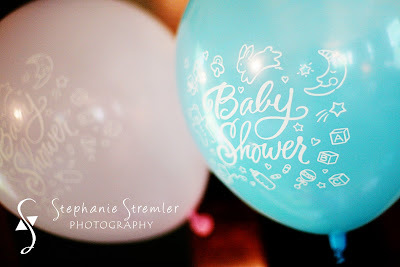 Jessica isn't due until November but her sister was in town so the shower was held early to ensure she could come. 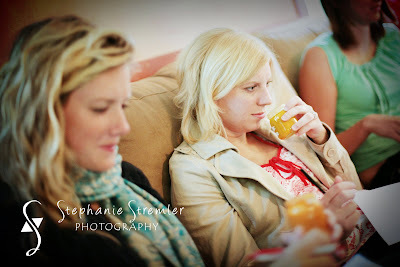 Check out some of the fun we had! Except maybe this awesome shark towel/robe! 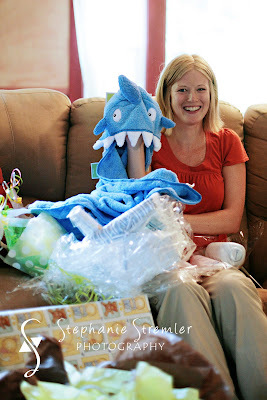 I can't wait to see her little one running around the house in this fantastic blue robe! Games! What is a shower without them?! This game alone makes me want to make my own baby food--trying to determine what the flavor of baby food is by sniffing it is quite eye opening to the cuisine little babies get to enjoy. Did you know they make macaroni and cheese baby food? I didn't! What is she looking at??? 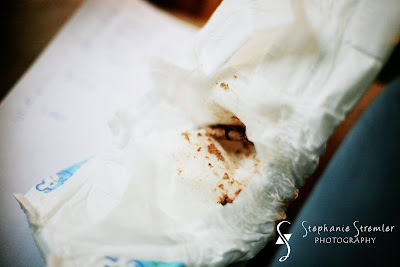 Yup--a dirty diaper. But not just any dirty diaper--one filled with candy that resembles...something else. 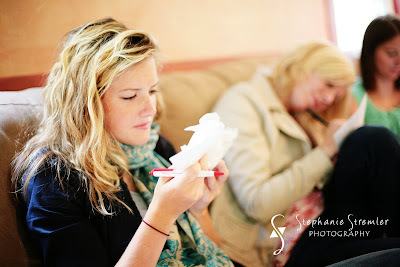 Could you guess the type of candy in the diaper by looking at it and smelling it? I'm not very good at this game b/c I don't eat anything with nuts or peanut butter in it so I'm unfamiliar with over half of the candy bars in America. 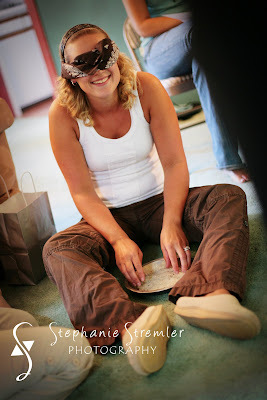 My favorite baby shower game--demonstrated by the lovely hostess Melissa! Find the safety pins in the rice while blindfolded. I came in second in this game...I'm quite proud of my fingers for their deciphering abilities. 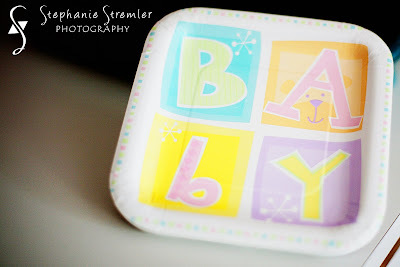 Keep your eyes out for maternity and newborn pictures to come this fall! I can't wait to meet Baby Coop!